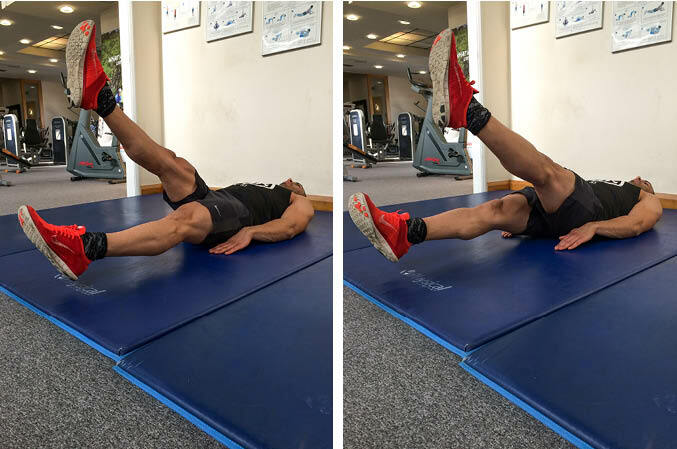 The Flutter Kick is a core exercise that primarily targets the abdominals, but also works the obliques. This is a core exercise which is well suited to beginner lifters. Lie on your back with your hands on either side of your body and palms facing down on the floor to support you. Raise your legs off the floor a small amount (about two inches) and hold them there using your core muscles. Raise one leg up by about a foot, and then lower it back to the starting position whilst simultaneously raising the other leg. Repeat this alternating leg raise flutter kick motion until you reach failure.